Get a clean, secure, affordable storage unit - hassle free! Why Rent Storage Units From Aggieland Storage? We're proud of our commitment to customer service and dedicated to giving you exceptional value for your money. Rent and pay for your storage unit online with no hassle. No matter your storage needs, we have you covered. 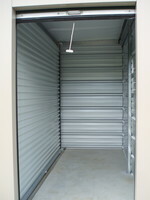 We offer a variety of storage unit sizes. We'll can help you decide the size you need. Call today or click below to see our available units. We make sure your storage unit is clean, safe, secure, and ready for you to move right in. Our climate controlled storage units ensure that your belongings are in the same condition when they leave your unit as they were when you stored them. 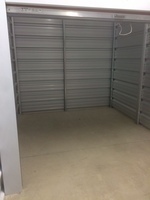 Live in College Station and need storage for you, your business, or your college student? Our storage facility is located just a few minutes away down HWY 21. Here at Aggieland Storage we wanted to make it a hassle-free experience for you to rent and manage your self storage unit online. Follow the link below to select your storage unit. Please enter your information and you will receive an email with instructions on how to enter the gate to our storage facility and access your unit. We appreciate your business. Aggieland Storage is locally owned and operated in Bryan, TX. Located just down Hwy 21 East we are convenient to College Station, and several other communities. Our 2 storage facility lots are located on Wickson Ridge Drive- just 1 block off Hwy 21, in order to make it easy to find and access. Please click on the "location" button below to find a map to our facility. Aggieland Storage likes to pride ourselves in our customer service and upkeep of our storage facility. If you have rented from our storage facility, please leave us a review below. We appreciate your business! We commit to providing you clean, ready-to-rent self storage facility. Manage your storage unit account from the convenience of your own home, 24 hours a day and 7 days a week. Spring Cleaning Season? Let your storage space do some work for you! There is something about spring that causes homeowners to start wanting to clean up and get rid of clutter from their homes. Spring cleaning can be a good way to remove the mess from your home and stress from your life.